Amazon has recently listed a rather nifty new product which according to its description will allow gamers to turn their beloved consoles into portable units. Thus, giving those die hard gamers who suffer from separation anxiety the ability to set up and play just about anywhere a reliable power source can be found. The product listed on Amazon as the G-155-Gaming and Entertainment Mobile System, is said to be packing a 15.5 inch HD LED screen with an HDMI input, wrapped up in a sturdy portable casing with compartments which allow for the storage of games and other accessories. 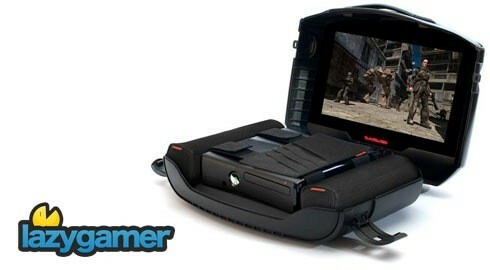 While the option of pre-order is currently offered, Amazon has listed GAEMS clever little suitcase with a screen as available from the 19th of May with a price tag of $299.00. Next article MotoGP 10/11 Review – Wearing leather has never felt better!